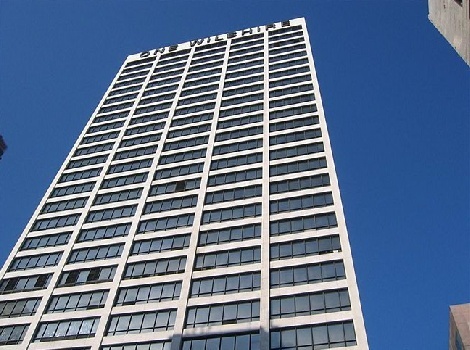 Scionhost leases floor space inside of the One Wilshire Building. One Wilshire is a 30-story 656,300 SF multi-tenant carrier neutral telecom facility located in the downtown Los Angeles business district. 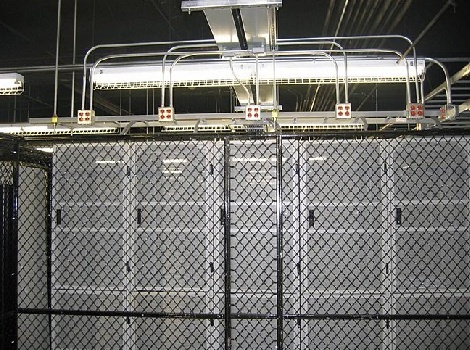 Servers in the LA datacenter are housed in our own private cage for extra security, dedicated servers are housed in locked cabinets. 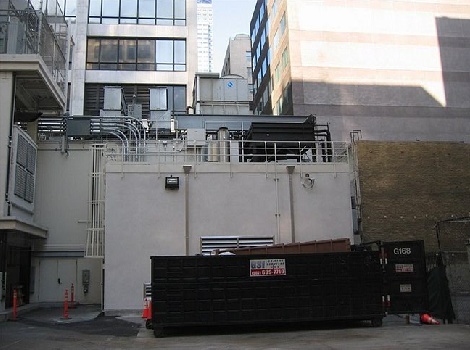 One Wilshire maintains over 40,000 gallons of diesel fuel to increase emergency power to 48 hours, The normal source of power is the Los Angeles DWP. 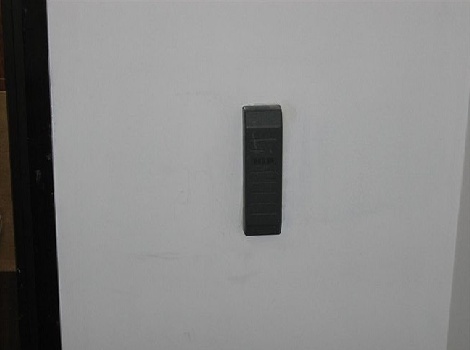 24 hour attended lobby with security staff with integrated CCTV and card access systems, perimeter and sensitive areas monitored 24/7 from a security station located in the entrance. 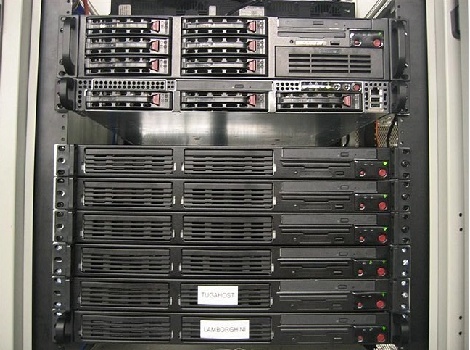 Our servers use 2U Intel Dual CORE Woodcrest Xeon Processors, 4MB cache, 4.0GB ECC RAM, 3 x 320GB SATA II (3Gb/s) Hard Drives with Hardware Raid 5 for hard drive redundancy, Hardened Secure Kernel and Redundant Power Supply Units. 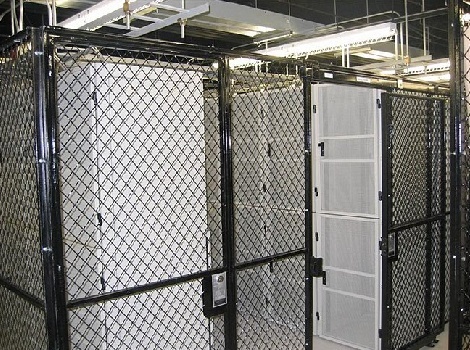 Our cage is cooled by Liebert AC units to maintain a constant temperature of 67 degrees. 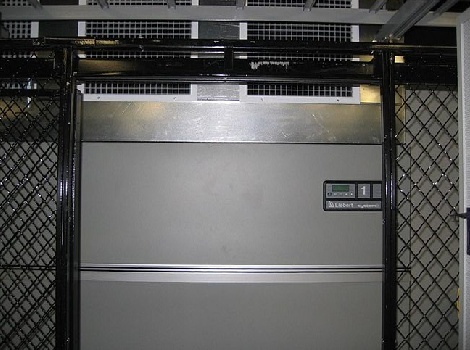 Each cabinet is powered by dual 20 Amp power circuits each on a different UPS for fully redundant power. 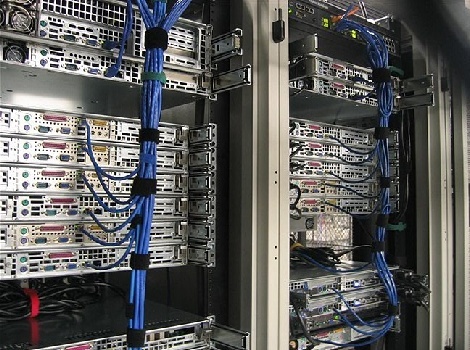 All CAT5 is prewired in to patch panels for efficient cable management. 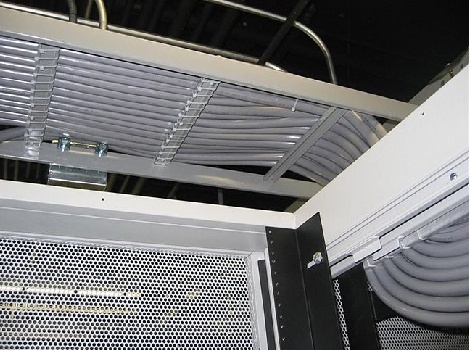 Cables are properly managed to ensure good air flow and cooling. 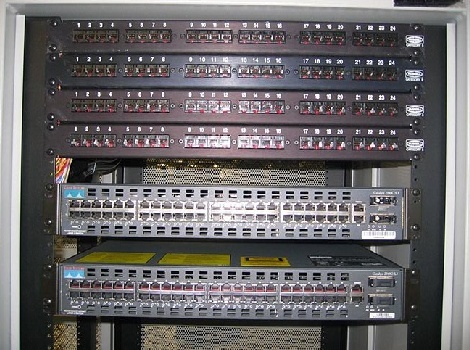 We use a combination of Cisco and Foundry switches all connected via gigE to the core switch. 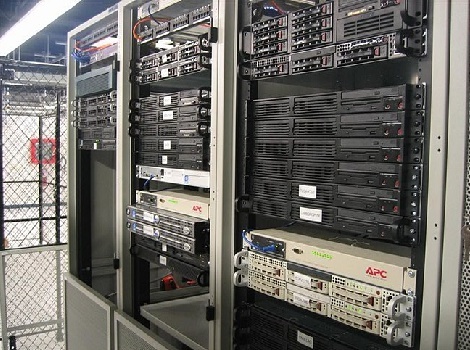 Servers are also connected to APC reboot switches, as well as being behind a Cisco PIX firewall. 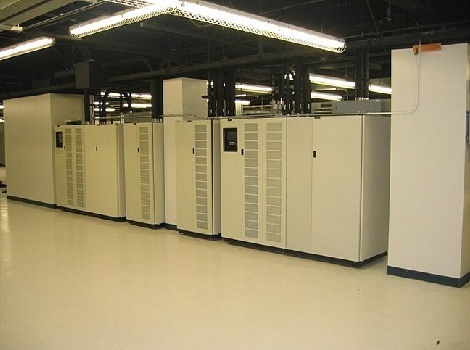 All servers are backed by N+1 redundants UPS systems in additional to being backed by the Diesel generator.